Even when phones are being purposely slowed or blowing up, loyal iphone and samsung users don’t want to switch. 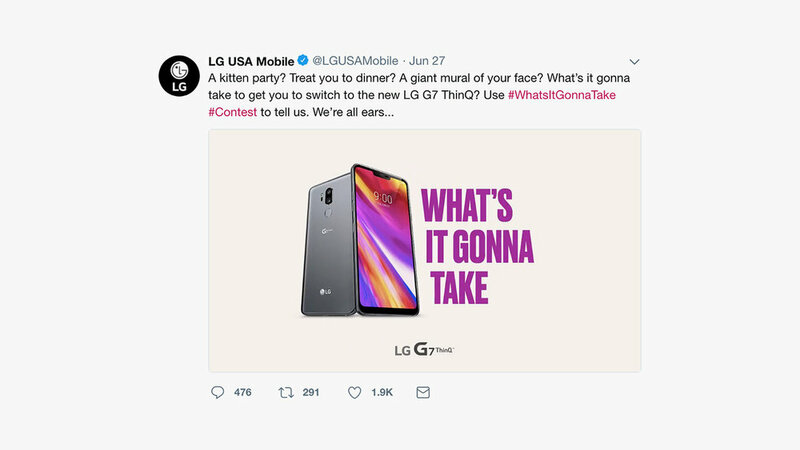 In this campaign to launch the new LG Thinq, we asked What’s It Gonna Take? We started off by asking one person, Ryan. Then we asked the internet with contextual, targeted ads. Finally, we launched a social campaign asking What’s It Gonna Take? Then granted some of those wishes.